AI tech firm Veros Systems closed a $4.3 million Series B round of funding this week, led by five undisclosed investors. “We estimate that Veros could deliver an additional $300 million a year of production that would otherwise have been lost by unplanned shutdowns,” said Harry Brekelmans, projects and technology director at Shell Global, in a statement. Veros, launched in 2001, builds solutions for the the automotive, building and facilities, cement, chemicals, manufacturing and oil and gas sectors. 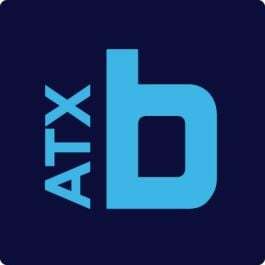 The company was founded by Tommy Knight, the former CEO of Halliburton subsidiary Brown & Root Inc., and Alex Parlos, a former mechanical engineering professor at Texas A&M, who serves as Veros' CTO. Jim Dechman, who joined Veros in 2013, serves as president and CEO. Over a year ago, Veros partnered with Fluke, a developer of professional electronic test tools, to build asset performance and condition monitoring technologies. Collectively, the two organizations set out to increase the reliability of electric auto vehicles. The result of this collaboration? The Fluke 438-II Power Quality and Motor Analyzer. The tool, which was released last May, calculates motor output torque, speed, horsepower and efficiency to detect system overloads while the motor is running. Veros Systems also won the Best in Show and People’s Choice awards, taking home $38,500 in prize money, at last year’s Startup Village competition held in San Antonio at the Annual Technical Conference and Exhibition. April’s funding follows Veros’s $11 million Series A, which was raised in 2014 by Austin Ventures, Chevron Technology Ventures, LiveOak Venture Partners and Shell Global’s VC arm Shell Technology Ventures.